Wood, Bone, and Bamboo Cord | Welcome to Poesies.com! Everything I make is composed of all-natural materials. It's something I've always believed in -- the closer to nature, the better. That's why I use only stones that are natural and undyed, and why I only use gold and silver. Well, now I've broadened my repertoire. 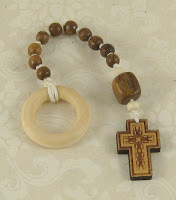 Last week I started playing with wooden and bone beads, and bamboo cord. 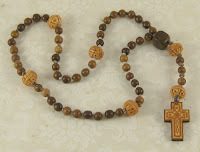 I also found some lovely wood-burnished nangka wood crosses from the Philippines. The dark wooden beads are not stained -- that is the natural color of the Korean boxwood. 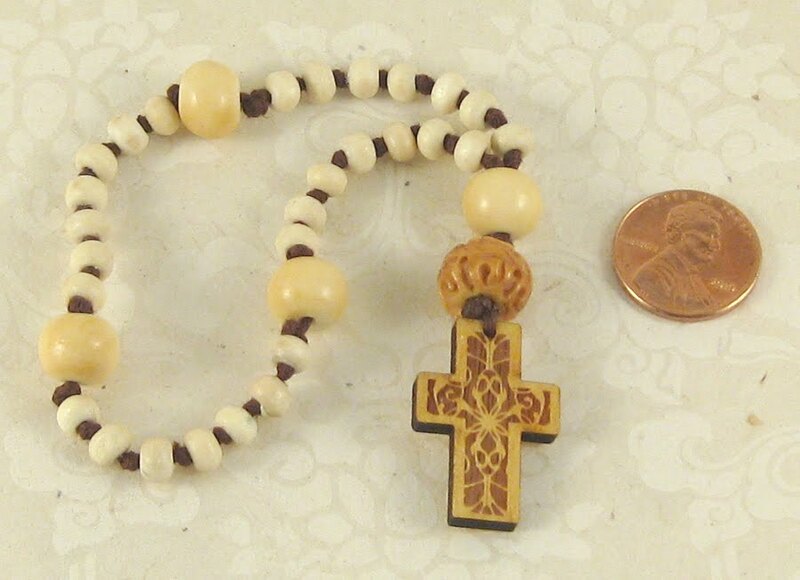 The bone beads are hand carved and then treated with a preservative that makes the bone less brittle and accentuates the carving. They are from China and it is cattle bone, probably leftover from the food industry. The first one is an Irish penal rosary, the second one is a traditional Catholic rosary, and the last one is an Anglican rosary.